A payment kiosk can now be a valuable point-of-sale and an additional revenue generator thanks to the Cash Desk K2 XL. 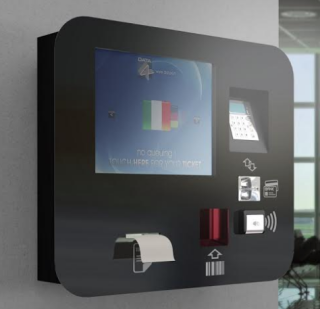 The device is integrated with a 43-inch monitor, digital signage technology and self-service payment capabilities. This innovative solution communicates each option and activity to the consumer via the screen, resulting in a more personalized experience in choosing and purchasing goods.